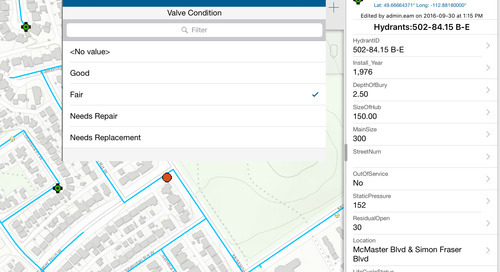 In this blog post, Brian Bell, Esri Canada’s utilities industry manager, shares his insights from EDIST 2016, an important event that draws hundreds of leaders from Ontario’s electricity sector. The event focused on COLLABORATION, which closely ties with our company’s key focus of helping customers break down barriers within their organizations using GIS. Earlier this month, I represented Esri Canada at an important event run by the Electricity Distributor’s Association of Ontario known as EDIST. The Electricity Distribution, Information Systems & Technology (EDIST) Conference & Exhibition was a popular event as always, drawing hundreds of mid & senior-level leaders from Ontario’s thriving electricity sector into a single place for three days of interaction, sharing of knowledge and networking. 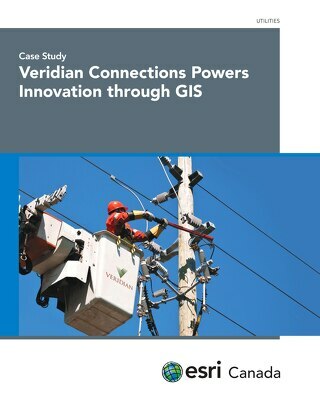 We’ve participated in EDIST in all of my 10 years at Esri Canada and I expected a similar conference focus on the Electrical Power systems side of the business that had been a major emphasis in previous years; getting down into the technical nuts and bolts of managing and operating the electric system. But this year’s event was definitely different. If I had to sum it up in a single word, EDIST 2016 was all about COLLABORATION. 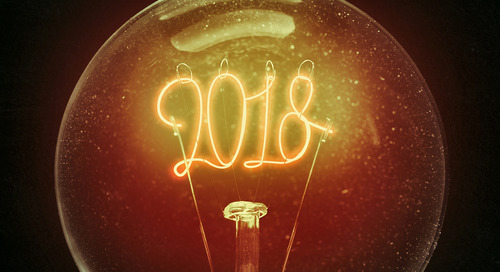 Everywhere I looked at EDIST this year, I found proof of the pent-up demand for collaboration, sharing and simplifying the ever-growing complexity utilities face while exchanging information between people, technologies and other companies. Virtually every conversation I had revolved around the need to simplify the interactions of staff and systems, and making access to information easier and more efficient. 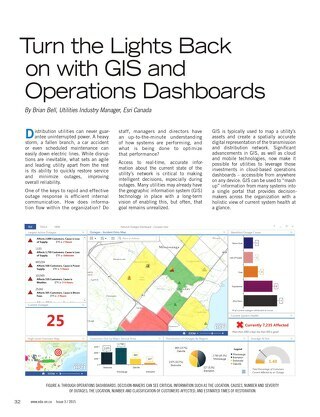 As I saw more and more conversations go down this path, I couldn’t help but think about how closely it ties with our key focus—helping our customers break down barriers using GIS. Sometimes those barriers exist at the business level; other times at the technical, communication or informational levels; but they do exist everywhere. In the old days of GIS as an automated mapping/facilities management (AM/FM) system, we referred to these as silos of information. 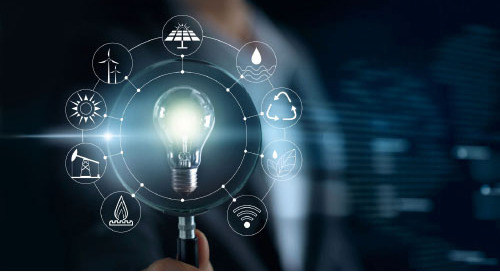 The concept of these challenges today are similar, just envision them in the greater scale of challenges affecting how utilities operate now, as opposed to then. 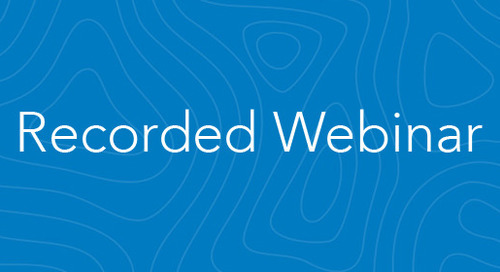 At Esri, we’re breaking down these barriers with an approach that represents a paradigm shift in how we manage, provide access and secure business information; we refer to this approach as Web GIS. Today, the Web GIS paradigm of ArcGIS gives us an incredibly powerful tool to help combat and break down these barriers. The platform brings together existing systems and enables information to be shared across teams, departments and organizations to facilitate collaboration. 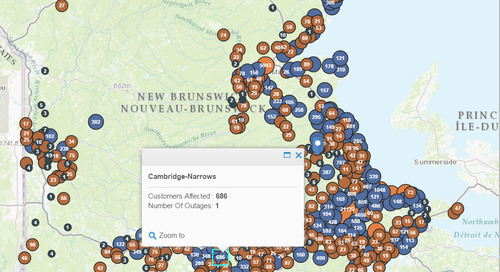 A good example of Web GIS in action in utilities can be found from this presentation I gave at EDIST with one of our customers, Chatham-based Entegrus Powerlines. 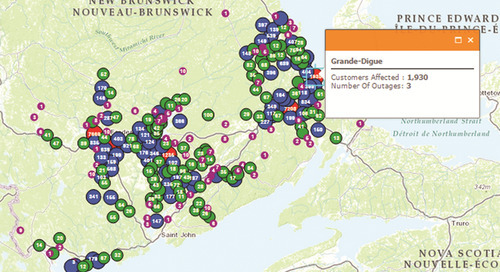 At a fundamental level, Entegrus had business challenges that could be effectively addressed through the type of collaboration and communication strategy that Web GIS supports. 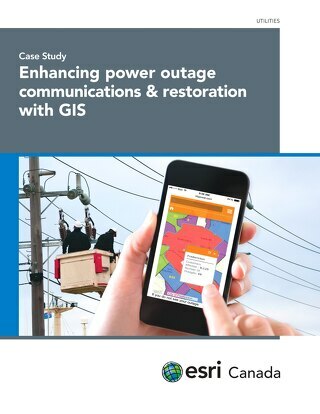 Using ArcGIS Online and the ArcGIS for Outage Communications Program, Entegrus integrated valuable information from its key operational systems and significantly improved outage communications across its organization and to customers. I didn’t expect my presentation to align so closely with my impressions of EDIST as a whole, but this was definitely the case. 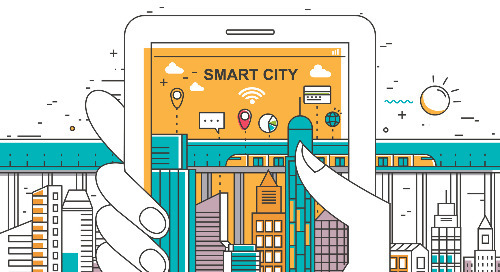 Increasing collaboration may seem like a daunting task to many utilities, but with modern technologies such as Web GIS, it’s a goal that can quickly be turned into reality. 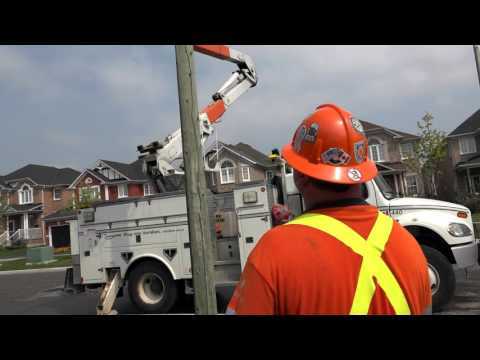 Brian Bell is the Director for the Utilities sector at Esri Canada. 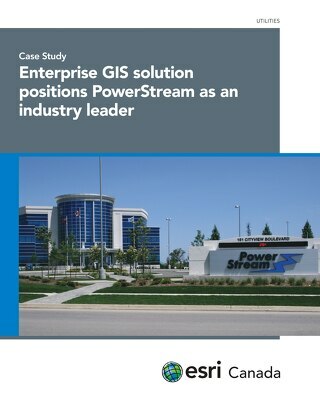 He is responsible for providing strategic leadership and vision for advancing the use of Esri technology, as well as maintaining and developing relationships with customers and business partners, in the utilities and telecommunications markets. 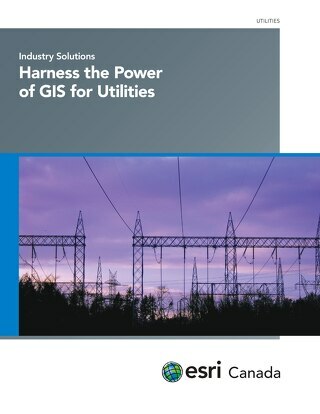 He advises utilities across Canada on GIS & enterprise system implementation planning strategies. 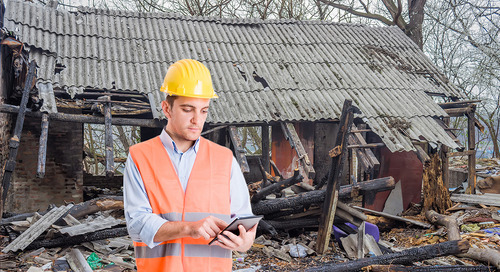 Brian holds a Bachelor of Science degree from Queen's University and a post-graduate GIS Applications Specialist certificate from Sir Sandford Fleming College. He is an accredited member of the Project Management Institute (PMP) and is Esri Canada’s representative for various industry associations including the Ontario Electricity Distributors Association and the Canadian Electricity Association.